This piece was commissioned for a little girl who loves flowers. We whitewashed dresser then hand painted flowers on it. 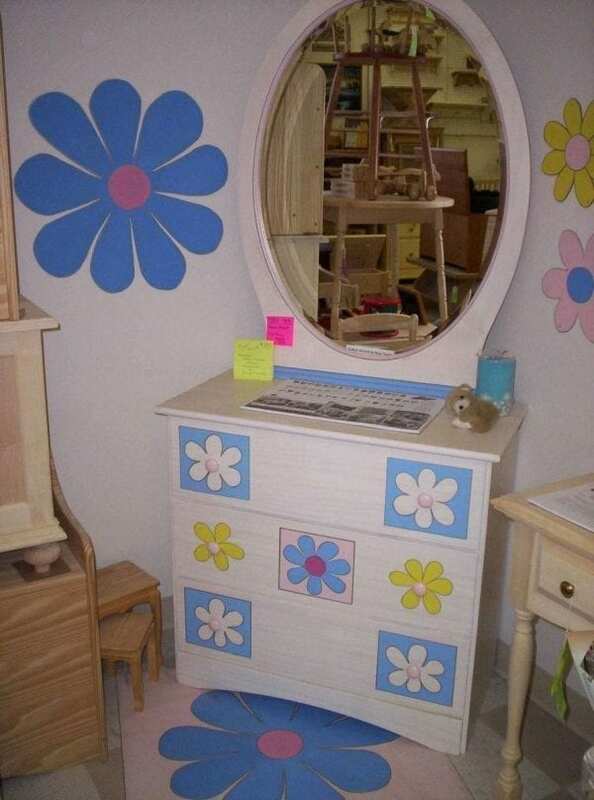 We even painted a flower on the back of the mirror. We also painted a matching floorcloth and cut out Masonite flowers. We can custom paint a dresser with whatever you fancy.